Another prominent feature of the advanced cloud storage services is that they provide secured storing options to the users. Especially, for businesses, the online storage services provide features that enable the encryption of data that ensures restricting the access to unauthorized users. Moreover, the online storage services help in the easy backup of data as the users just require selecting the files and clicking on the backup option for this purpose. Also, you can access the cloud computing services from almost any device you have. For example, you can even access the data stored in the online storage services using your smartphone. All you need to have is an internet connection whether you’re on a mobile browser or even working from your computer. 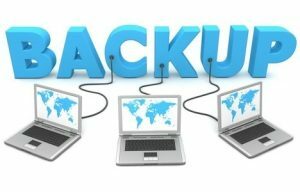 In addition to this, several online storage services also provide syncing options to the users using which they can update their files automatically across all their devices, be it a smartphone, tablet or a computer. With this option, the latest file that you’ve updated in your computer will be available in your smartphone as well. When you compare the storing of information in other locations, online storage options provide several other benefits to the users. It is possible to edit the files stored in these services and also share it with other users. The users just need to allow access to other users and in this way, it becomes possible to work collectively, especially in a company. 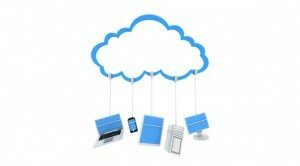 These are some of the top advantages of using cloud computing and storing services. By relying on these cloud storage services, you can be assured of an easy, advanced and secured storage option that you can access anytime. 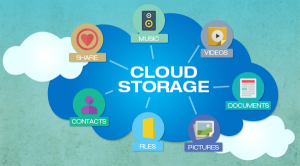 In this electronic era, the cloud storage providers make sure that you never run out of storage space. There are many cloud storage providers that can offer you free cloud storage. There will be size limits for the free subscriptions and if you need more space, you will need to sign up for the paid subscription. This article discusses some of the best free cloud storage providers so that you can decide on which provider to sign up for. DropBox has been into the cloud storage business for quite some time and they have a very good reputation in the business. The advantage of this service is that it can be used in any type of platforms like Linux, Blackberry, Android or iOS. No matter the technology that you use, this service fits the needs of your business. The desktop application of DropBox is compatible with Windows OS, Linux and Mac. They offer 2 GB of free storage and offer a referral system wherein you earn an extra 500 MB of free space when you refer a friend to this service. This referral system of DropBox service has been a great crowd puller. Another advantage of this service is that it is integrated with Facebook groups and thus allows the users to share files easily on Facebook groups. OneDrive, commonly called as SkyDrive, is the cloud storage service from Microsoft. The free storage offered by this service is 7GB and they offer the most competitive upgrade plans. The best thing about signing up for SkyDrive is that it is capable of directly integrating with MS Office and it allows the users to synchronize, share and view docs on the go. It supports Windows and Mac operating systems and with the help of third-party programs, it also supports Linux. SkyDrive is the only service to have its own mobile app and this app can be installed and used in Android, Windows Phone and iOS platforms. Some of the other added features in SkyDrive include remote access to the files that are stored in the computer of the users. These are just two of the best free cloud storage providers. There are also many more providers like Google Drive, iCloud and many more. Before deciding on a cloud service provider, you should compare the different features and functionalities that are offered by them.